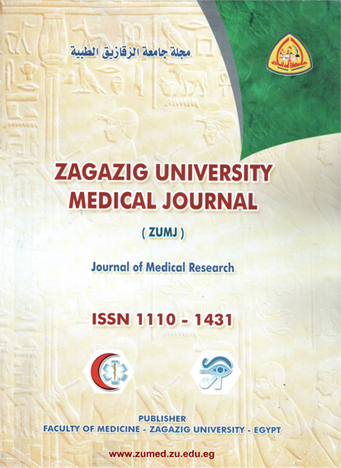 1Department of Pathology, Faculty of Medicine, Mansoura University, Mansoura, Egypt. Background/Aim: Mycosis fungoides (MF) is the most common type of cutaneous T-cell lymphoma (CTCL). Differentiation of MF from its benign mimickers is important to ensure proper management. TOX is a critical regulator of early T-cell development that is considered as a useful marker for MF diagnosis and prognosis. The current study aimed to test the role of TOX immunohistochemistry (IHC) as a diagnostic marker of MF differentiating it from its benign mimickers. Materials and Methods: This work was carried out on 103 skin biopsies, 51 MF cases and 52 inflammatory mimickers. The diagnoses were established after clinicopathologic correlation. IHC was done in MF cases for TOX, CD4, CD8 and CD7 (in TOX negative cases), while the other mimickers stained only by TOX. Results: TOX expression showed a significant positive expression in MF cases compared to inflammatory dermatoses, with 62% sensitivity and 100% specificity. There was positive correlation between TOX staining and CD4/CD8 ratio in MF cases. In addition, TOX positivity in plaque MF was stronger than in patch MF. Also, TOX negative MF cases were negative for CD7. Conclusions: Positive TOX expression favors MF, but its negativity doesn't exclude the diagnosis of MF. Combining TOX with CD4/CD8 ratio and CD7 may be useful in diagnosis of MF beside the clinical and histopathological diagnosis. The stronger TOX positivity in plaque more than patch MF may correlate with the progression of the disease.